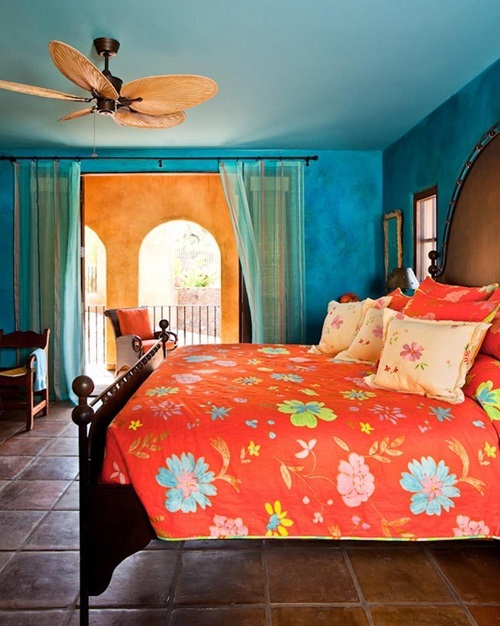 If you need comfort, warmth, and exotic feel into your bedroom, the tropical theme will be the perfect solution. 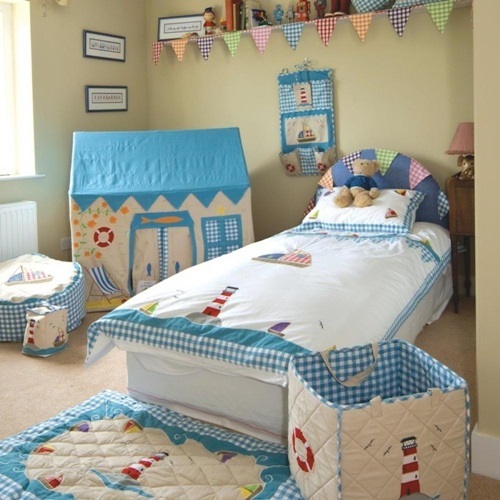 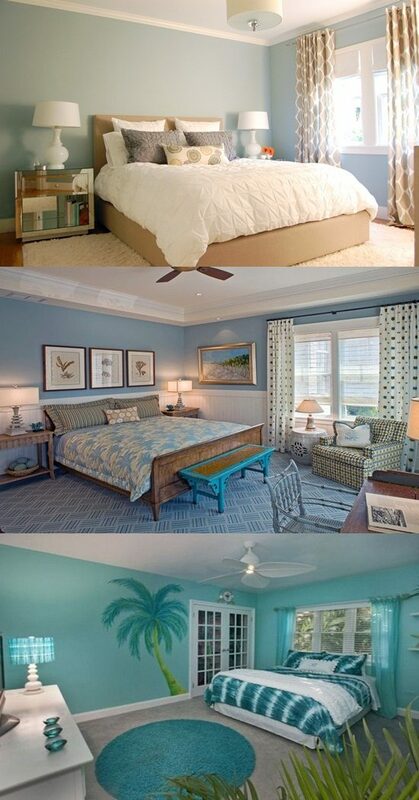 Such a room should be light and airy during the day to let you smell the fresh breeze and relax your body. 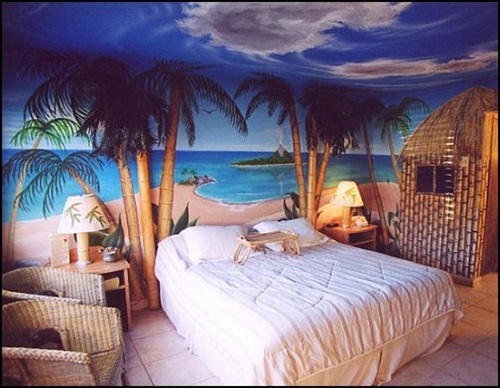 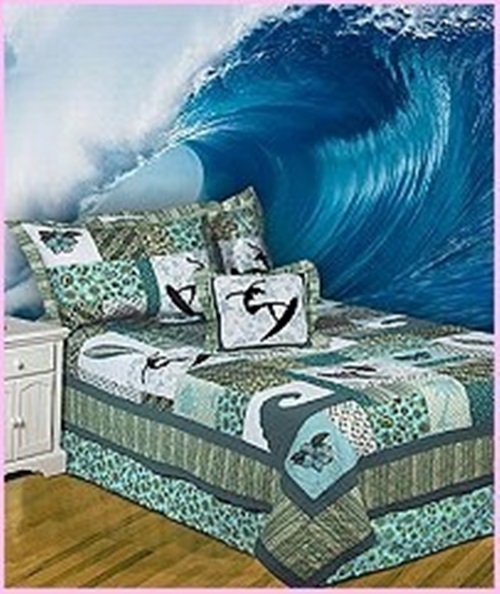 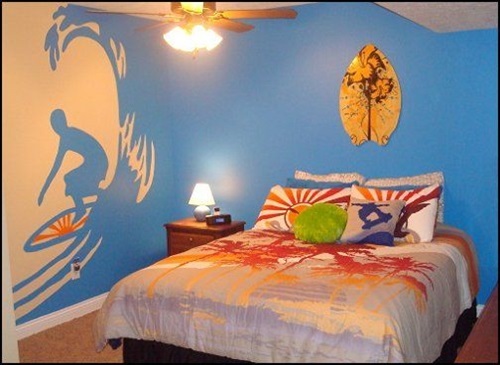 Decorating your bedroom using the tropical theme should begin from the walls as they are the largest parts of the room. 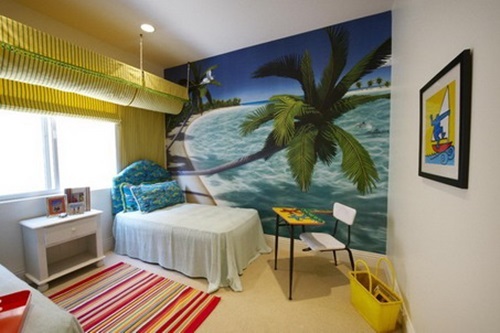 You can simply paint the walls tropical colors according to your understanding to the word ‘tropical’. 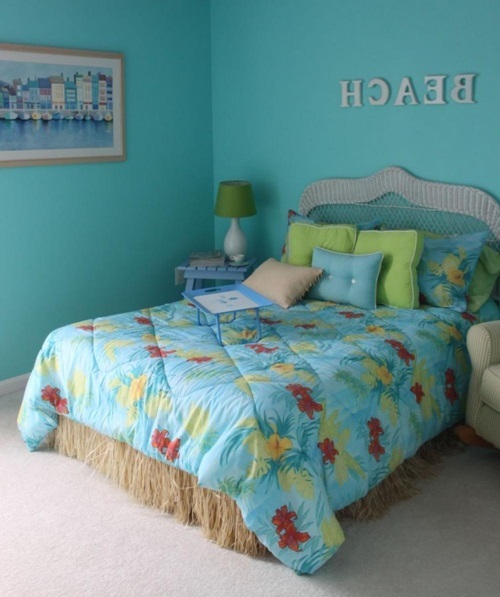 If you feel that the tropical theme is green forests with colorful flowers the walls will look marvelous with sea foam green with shades of red, yellow, and brown. 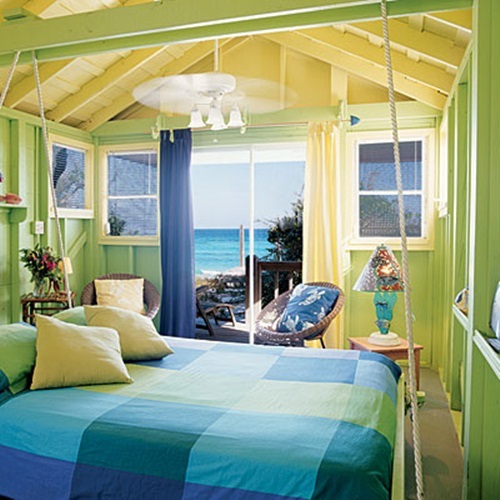 If you think of the beach as a tropical place, your bedroom can be painted clear or turquoise blue with yellow, green, and white shads. 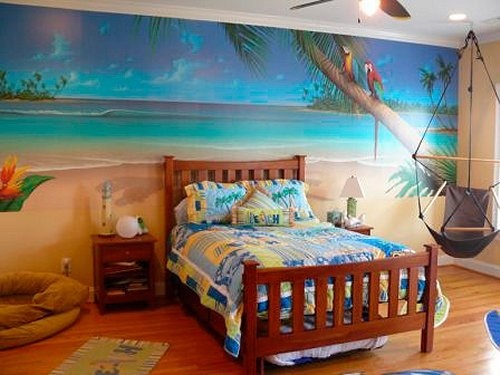 Instead, you can use tropical themed wall murals with different prints such as palm trees, seashells, waves, boats, fish, forest animals, tropical flowers, or sea grass. 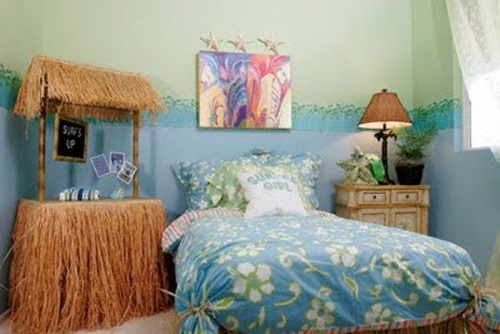 Your tropical bedroom can be made of wicker, driftwood, or bamboo to enhance the natural feel of the room. 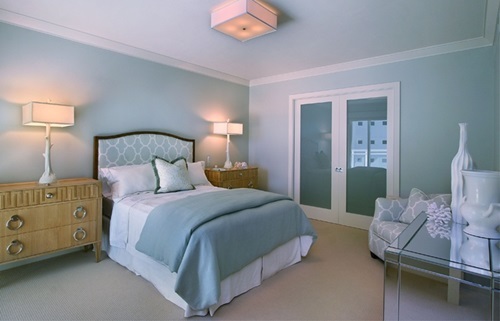 If you need to create a bright and airy look in the room, you can paint such furniture pieces white or light colors, but keeping them on their original look will be more realistic. 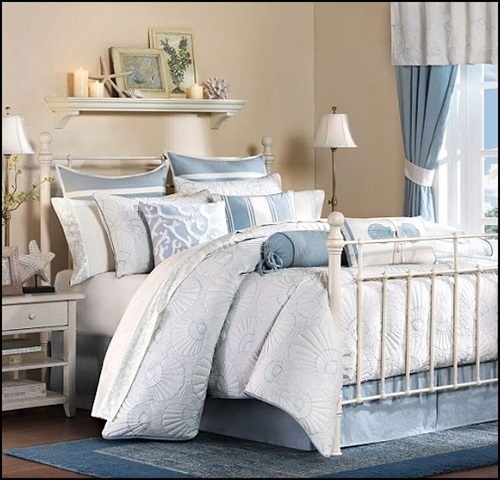 The beddings can be chosen with solid colors, tropical patterns, light blue and white colors, deep brown with ivory, camel or beige colors, leopard spots or zebra stripe prints, or natural shades according to the mood you need to create. 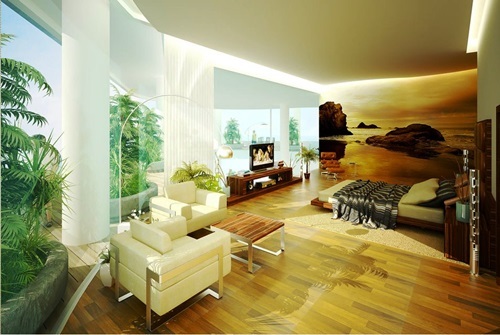 You can add personal touches to your tropical bedroom, but try to avoid cluttering the place to keep the airy and clean look of the place. 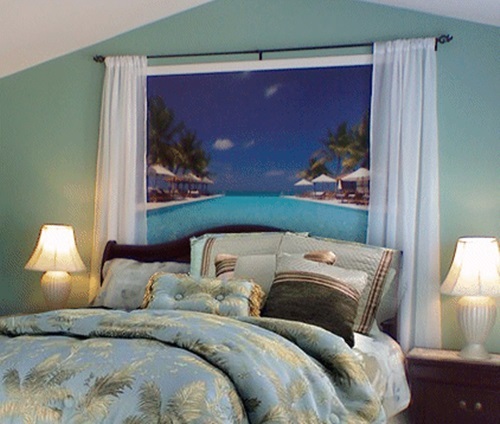 The personal framed picture; especially if it includes your journey to a tropical place will be a unique part of the room. 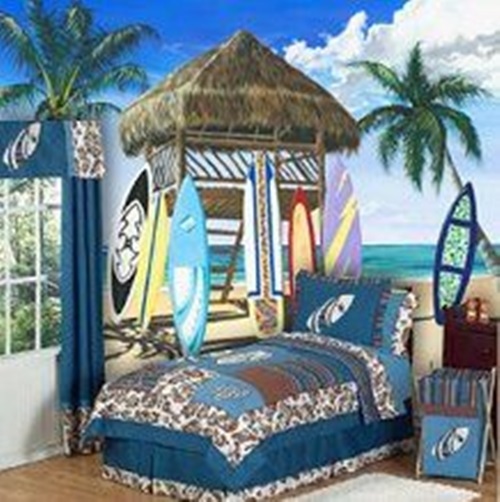 You have the choice to use tropical themed candles, candle holders, window covers, plants, or accessories to decorate the room.